If you are a writer, screenwriter, intern or you simply want to set up a personal blog to display your works, exchange your thoughts, convey your ideas or you simply want to write like i do, you’d want to think again because you won’t just create a free blog and leave it there for your contents to be shoved in everyday. If you do that, you would get less than a hundred or fewer visitors per day, and that is not encouraging, you are bound to stop posting along the way, because people do not leave comments or even visit, and it’s difficult to ask these visitors that visited yesterday what they think about your blog. Then gradually, you’d be nowhere to be found online, except for the times you’d share the link to a post on Facebook. I know you like Facebook but how many readers come back to your site? So, in this post, i’d light a cold touch and let you walk by with your pen and a smile. Let’s examine the essential qualities that make up a great template. Responsiveness: This particular blog’s template has been changed several times because i was all out on the web, searching for a template that will show all of it’s codes, contents and designs on a mobile phone, from the Facebook like button to the g+ button, if a template is not responsive, it’s usually all messed up and astray on mobile. A good, responsive template should be able to fold to the width of any phone or device. Now, in the case of blogger, if you use the default template, it’s usually okay with the widths of your phone but you don’t get to see much apart from the texts (on a white or black background) and the header, in a few cases. A responsive template retains the way it is on Desktop view (computer) then adapts or fold s itself when on mobile or tablet, regardless the type of device. Layout: You should have seen it if you look around your blogger dashboard. The layout is key because there are templates that have single layouts that might not fit your needs while some have two or three, it depends on the one you want. For writers, i suggest a plain template with a maximum of two layouts on the right and left side of your blog (excluding post body). The image below is an example of layouts, choose wisely and make sure the template is responsive. Support: We sometimes need help with a widget or code. This depends on the level of your knowledge with Html, Css and programming languages. You should be able to handle the set up and designs of a template, you should be able to edit, insert and remove from it, anytime it’s required. If the template you are using is something you can’t handle, get the one you can handle or pay someone to either teach you or do it for you. Then, again, there are some sites where you PURCHASE PREMIUM templates and they would handle the “support” for you. The prices of these templates varies but the common one out there is $20. SEO: Seo is Search Engine Optimization. It is very important because it sends the way your website is organized, the keywords you use to attract attention, and other set of factors all combined to make your website “scannable” and easily indexible to search spiders. I’m saying, if you have a good seo, your site will be found on Big G (Google) and could make the front page as you continue to get more visitors. By default, most templates are search engine optimized. But you have to be sure the template you use is optimized. Flexibility: You don’t need to know much about flexibility if you use blogger where everything has been built for you, including hosting but some widgets or plugins can slow down the time it takes for your site to load up on a browser. Still on flexibility, it shouldn’t be difficult for you to edit a template or fix things here and there. If your blog or the platform is on a platform that doesn’t allow you make such changes, move to another. Blogger for example, lets you work on the layout and design of your site. So, that’s that on this post. If your blog template is not cool for me or other readers, we won’t come back again even if Charles Dickens’ signature is on it. 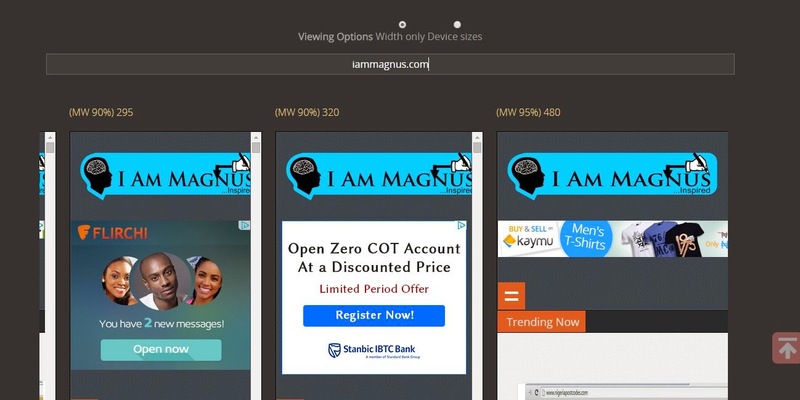 please do not copy this post without permission from the author, all contents in I Am Magnus is copyrighted. You could use the share buttons or leave comments. Blog well.